This article appears in the latest issue (Aug/Spt/Oct) issue of the mag - click here to get your copy! 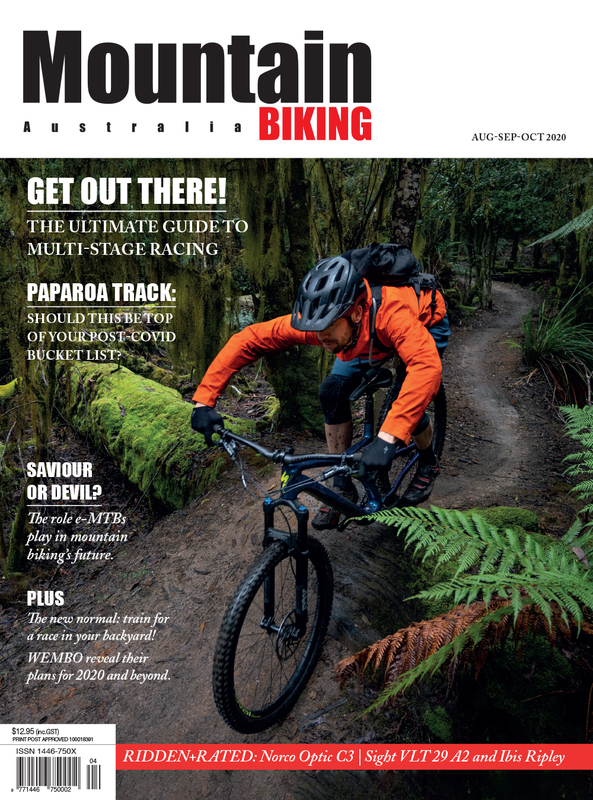 ‘It’s MTB, but not as you know it!’ shouts the promotional poster for GV Amp’d, touted as Australia’s first ever electric mountain bike race (or technically speaking, a Class 1 pedal-assist e-mtb specific event). 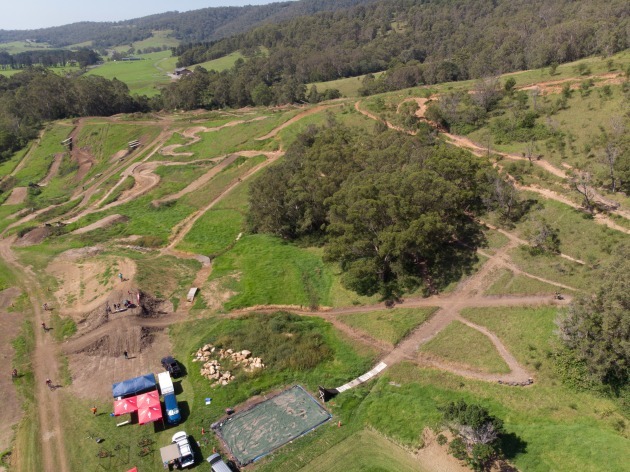 Promising the ‘steepest climbs, gnarliest descents and most excitement ever packed into an XC course,’ it’s happening only 20 minutes from MBA’s palatial multi-storey office complex – okay, my spare upstairs hall closet – at the growing Green Valleys Mountain Bike Park, southwest of Wollongong. Let’s get one straight down from the get-go – I am old school when it comes to bikes, but I get the e-mtb thing… I really do. 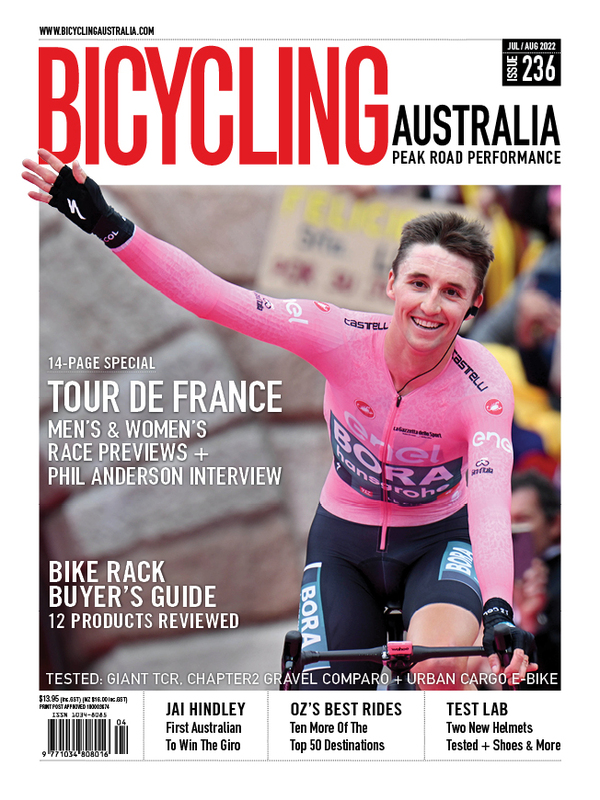 My first electrically aided ride opened my eyes to possibilities I’d never considered, and subsequent exposure to the notion of a pedal-assisted mountain bike has – for the most part – affirmed my view that it’s a relevant technology that’s set to become part of the fabric of our sport moving forward. 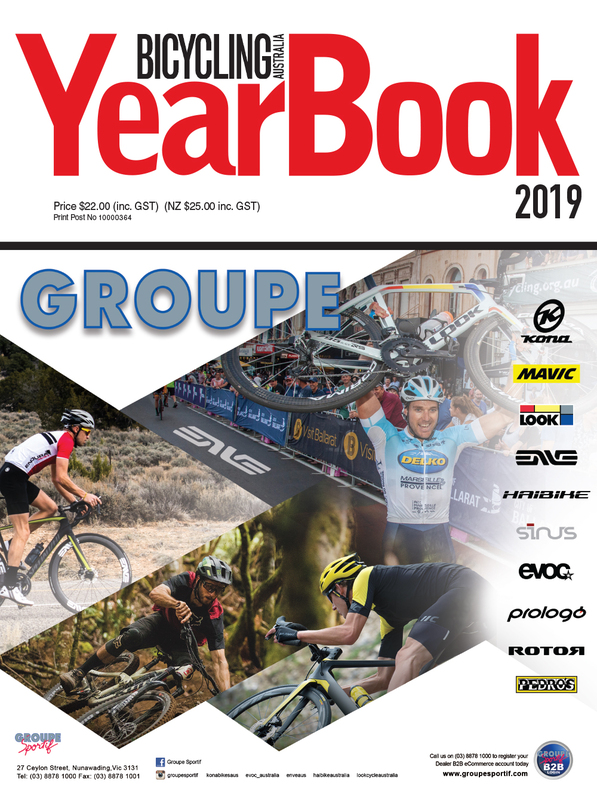 Hell, it’s already part of the furniture in Europe, where sales of high-end e-mtbs are outstripping those of more traditional rigs. Locally, the signs are similar. 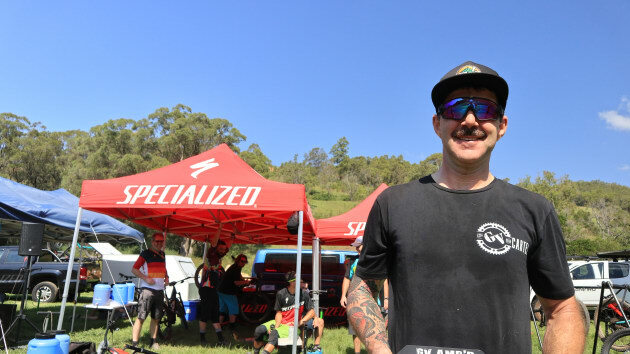 “We only brought in a small amount of bikes to gauge interest, but they all sold almost instantly,” says Specialized’s NSW field market developer Jeff Moore. “We managed to get more, and the same thing happened. It’s really taking off.” Jeff and his team are supporting the Amp’d race with a fleet of Levo and Kenevo loaners, while Dan Irwin from RideAus is pulling the logistics together, which includes a couple with a brisket boiler on a trailer, offering pulled pork sandwiches after the race. For free. Sign me up. 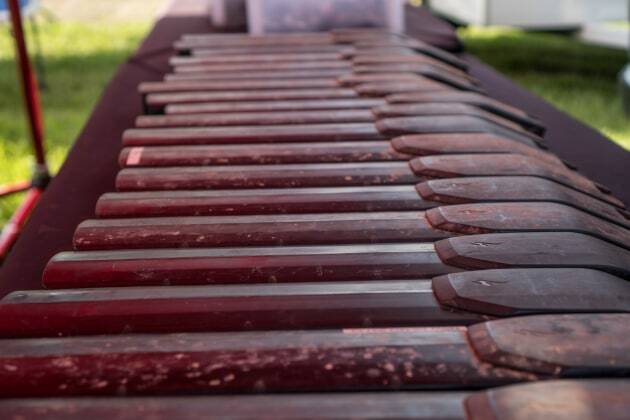 The Specialized set-up is pretty impressive, with more than a dozen Levos and Kenevos in various sizes being sized up, adjusted and charged up ahead of the event. Batteries are kept separate from the bikes and charged as a group – embarrassingly, I ride my loaner Levo around for a few minutes wondering why it feels kinda sluggish…. There are more than a dozen riders, with several people bringing their own personal rides along. One is David Slater, who’s travelled from St George’s Basin in southern NSW to be part of the event. 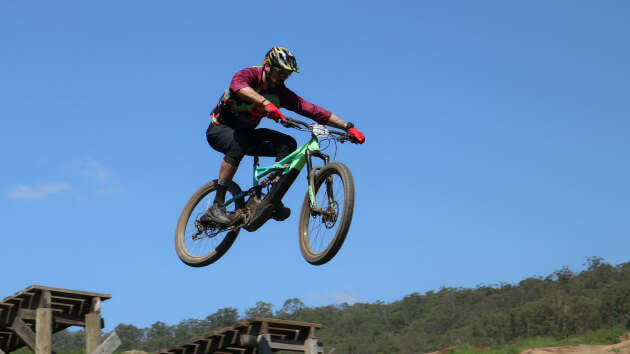 A mountain biker of 15 years, David says his Merida e-mtb has increased the enjoyment factor of his riding immensely. “My wife and I each have one, and we love them because we’re riding further, enjoying it more and riding more often. It just takes the slog out of it,” he says. “I just love these things. Every time I ride it, my face hurts from smiling. 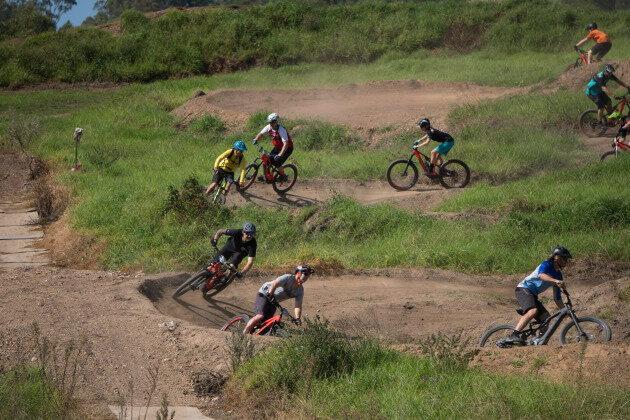 The format is, typically of a mountain bike event, loose and chilled, with a course being mapped out on the lower face of the Green Valleys park as we shoot the breeze and tweak bikes. My Turbo Levo FSR Expert Carbon is quite the bit of kit… and for a cool $11,000, it needs to be. Davide Tartaglia walks me through the various modes on the bike, that include – naturally – a full Turbo mode, as well as two less powerful modes that are designed to conserve battery life, as well as a ‘walk the bike’ mode which, as its name suggests, helps to push the 22kg-plus behemoth up steep stuff that can’t be ridden, even with a 250w electric motor adding to your leg juices. “We measure battery life more in hours than in kilometres,” says Davide, adding that while they regularly see four and five hours out of single charge, rider weight, metres climbed and time in the Turbo mode will affect battery life. The race today is scheduled for 45 minutes plus one lap, so it’s full burn all the way. The course takes us up a nastily steep straight pinch of grassed for 100 metres, before plonking us onto a small run of singletrack and into a downhill. We then traverse a large pile of dirt, before skirting the northernmost edge of the park to climb back up. Once we crest that, we then drop into Green Valley’s famous bottom berm run before we do it all over again. And while there are number plates and the like, I don’t get the feeling that anyone’s taking this at all seriously. Tunes are cranking, the timetable is way off and people are happy just to potter around and chat. It sounds like a Formula E car race as we all pelt towards the first climb, with motors whirring around me like a horde of angry Dyson vacuums. I settle in near the back of the pack and pace my way up the hills in full-gas Turbo mode… and it’s not easy. At all. If you have decent legs, you can push the pedals harder and go faster, just like you can on a normal bike, and I’m middle of the road average when it comes to powering up climbs normally. It’s all relative; the fittest are still fastest. Having nearly understeered straight off the berms during a quick recce lap, I soon learn to wind Turbo mode right back as I hit the crest of the downhills. I find that the extra burst of torque from even a half-pedal stroke at the apex of a corner is about the worst idea ever; the bike simply surges straight ahead, totally ignoring the corner you might already be in. In that way, the triple-mode system employed by Specialized feels a little underdone when comparing it to a more sophisticated set-up like Bosch’s variable-torque eMTB mode, which varies torque input based on pedal pressure. There’s still plenty of oomph for the downs, though, and the Levo’s massive 27.5+ tyres – 2.8-inch front and back – and Ohlins fork are willing companions for downhill shenanigans. The weight characteristics of the bike are certainly different, especially if you’re jumping; it takes a lot more effort to change the direction of the bike in mid-air, and the mass of the bike and I means that it’s always sitting deep in its suspension stroke. On our relatively short, tech-free course, though, it’s a good match. The performance level of the bike didn’t drop noticeably over the 45 minutes, even though mine certainly did. If you’re under the illusion that an e-mtb is the ticket to an easy day out on the trails, you’re mistaken; you get out of it what you put into it in much the same way as a regular bike. Our race is winding down, and – just like in regular racing – a few riders have overestimated their own abilities and pulled the pin. 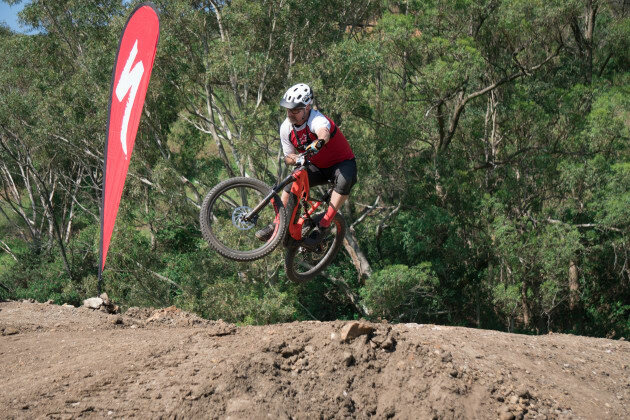 The balance of the field circulates until someone remembers to look at a stopwatch, at which point the first ever e-mtb race in Australia is run and won. Local lad Jayson Robertson takes top honours, and reckons while he had a great time, he might not be the target market. “This is my first go on one,” he tells me after the race. “I’m not about to buy one next week, but it’s good fun. I reckon at the moment our legs outdo what the battery can do, but in the future I’m keen to see where the technology goes. 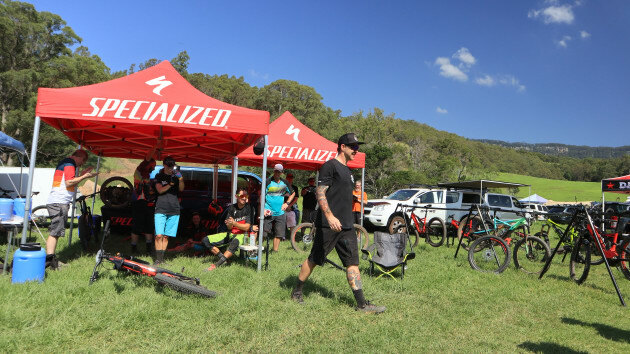 The day’s been a great success, with Specialized’s aim of opening a few more minds to the concept of the e-mtb well and truly achieved. It’ll take another couple of years for e-mtb critical mass to hit a point where racing is sustainable… but I can’t really see, for example, why enduro events couldn’t be opened up to e-racers. Electric assistance on the way down, particularly on a technical course, would be relatively minimal, but it would mean that riders could either complete more runs or start from higher up, thanks to the uphill help. I spoke with another rider who already uses an e-mtb to practice enduro and downhill events in the days prior to racing. “Just means I can get more laps in without flogging myself,” he shrugs. And isn’t that what it’s all about?